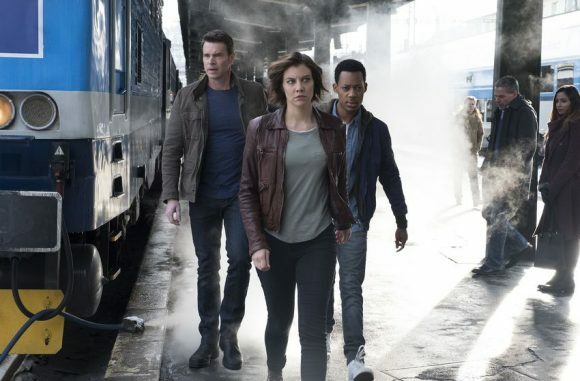 TVNZ 2’s carefully calculated strategy to launch Whiskey Cavalier with three episodes in one week was undone by the Christchurch mosque shootings — and cost the spy romp when it did premiere on Wednesday. The single-episode debut averaged only 2.2% of TVNZ 2’s target audience, 18-49 year-olds, and 3.0% of 25-54 year-olds. It out-rated TVNZ 1’s Bad Mothers in both core commercial demographics but was thrashed by the last hour of Three’s Married at First Sight Australia. Had the double-episode premiere gone ahead on the previous Sunday, the show might have built enough momentum to rate more competitively against MAFS rather than struggling to find an audience as an unknown against the most popular programme on TV with 25-54s. It also wasn’t helped by both MAFS and TVNZ 1’s Location Location Location out-rating lead-ins Young Sheldon and The Big Bang Theory in both demos. MAFS stablemate Talking Married also is proving popular, with a time slot-winning 25-54 average 2.6%, although more 18-49s opted for TVNZ 1’s Coronation Street. Three easily won the night in all the major demos but lost to TVNZ 2 on Thursday, despite the movie Star Trek dominating with 25-54s. TVNZ 2’s line-up of Shortland Street, Police Ten 7, Booze Patrol Australia and First Dates proved too compelling in the other core demos. Doubtful that the change in strategy was WC’s undoing. Looks like a dog, smells like a dog. Hardly appropriate primetime fodder midweek. Maybe a Friday evening slot at best? Well, I will agree with you on this: that Whiskey Cavalier would be best on a Friday night. So I thank you, Mike, you do know what you are doing.